Conditions such as tooth infection, overcrowding, oral disease, or even injury to the mouth can all cause a patient’s need for a general extraction. Fortunately, oral and maxillofacial surgeons are highly trained to treat a wide variety of oral defects, and their specialized training makes them the perfect professional to perform extractions on patients who possess any of these issues. We know that the thought of surgery can cause some anxiety, and we want to help ease any discomfort you may feel. Before undergoing any procedure, you will meet with one of our expert surgeons, and he will explain your procedure in detail, as well as address any concerns you may have. Many past patients have felt the same uneasiness that you may feel, but they have left our office more than pleased with their experience and feeling confident in their results. 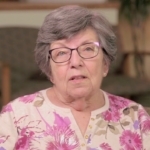 We encourage you to view the videos below of patients sharing their positive experiences and allow their feedback and results to alleviate your fears. When you come to Billings Oral Surgery & Dental Implant Center in Billings, MT, or Cody or Sheridan, WY, you are in good hands and can be confident that our staff will provide compassionate care and optimal outcomes.